Game of Thrones Season 8 is just a few weeks away and we all are excited to see the final season of the most-watched TV show. Here are some spoilers that we gathered from the internet. So, can you guess who will be the one dying in the final episode? Game of Thrones' final six episodes are certainly going to include a number of shocking deaths, and perhaps even some returns. From the trailer, we can see that the Night King (played by Vladimir Furdik) arrives at Winterfell. 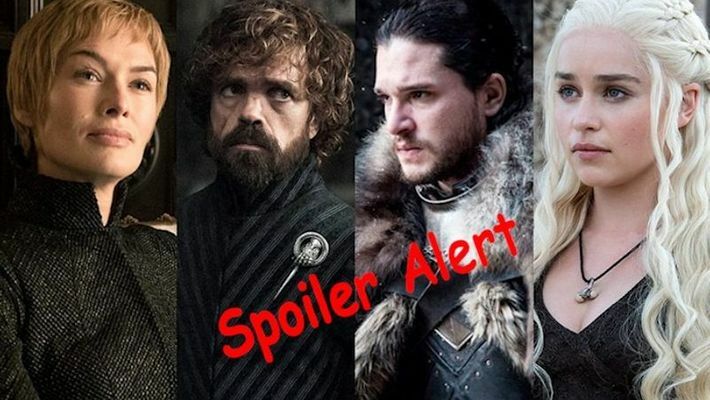 Before starting, we want to give you a spoiler alert, if you dislike spoilers to the core, then go back to the site and read some other gossip. The video also shows Arya is running and scared of something with blood on her face. 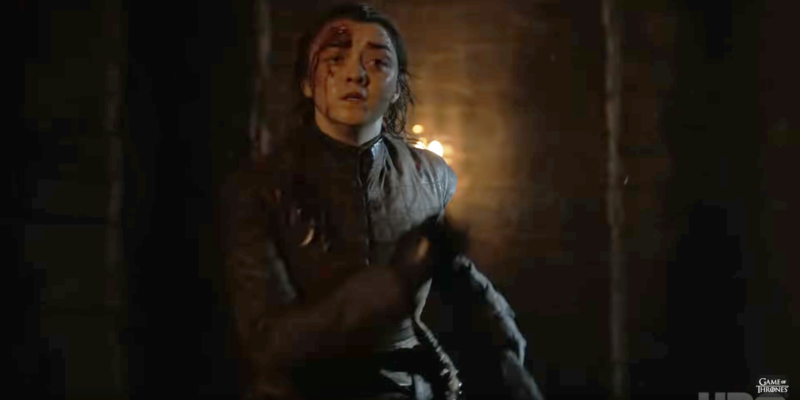 Fans on social media pages started discussing that the scene of Arya running in the crypt — and people think it is her deceased father chasing her. Some also said that it gives hints towards Arya's brother Robb Stark (Richard Madden) and perhaps even her mother Catelyn Stark (Michelle Fairley) making a return. There are some epic moments in the trailer, and as you can imagine, some major characters are going to die in the final season. According to Bollywoodlife, in this season's sixth and the final episode's first scene will show Jaime, Bronn, Gendry, Tyrion and Ser Davos return to the Dragonstone. On the other hand, Edmure has gone back to his homeland Riverrun. Jon Snow receives the guests at the Dragonstone and reveals to them about Daenerys' death. This news saddens Tyrion, who was her hand (advisor) as he talks to Jon on the cliffs of Dragonstone and also tells him that he believed in Daenerys who wished to make a better place out of this dangerous world. Jon also reveals that she died while giving birth to their baby. Not just this, he is told that the Golden Company took her body to hand it over to Cersei Lannister. Tyrion then asks him about the whereabouts of the baby and Jon responds that their baby girl is alive and well. As he smiles, Tyrion then notices a single Greyjoy ship arriving in the Dragonstone. Jon and Tyrion walk towards the ship and find Yara Greyjoy. Some websites also revealed that in that episode, Euron Greyjoy had declared himself king of the Seven Kingdoms after Queen Cersei's tragic death. This made Jaime furious and he joins with Yara and Davos to fight back Euron because they don't want a madman to rule the Seven Kingdoms. Jaime wants to use the Lannister army to fight Euron while his brother, Tyrion also thinks they should convince Daenerys's remaining loyal men (Unsullied and Dothraki) to keep fighting for Jon and for Dany's baby girl. On the other hand, Samwell talks to Jon about his parentage again, but Jon doesn't want Samwell to tell the rest about it, also Jon clearly states that he never wants to become a king. Sansa got upset and confused that her father Ned Stark would keep Jon's parentage a secret. Also, Jon tells Sansa to take care of the North and of Winterfell, as she's the heir of Winterfell. In the same episode, Old Melisandre comes to tell Jon she's ready to pay for her sins and reveals her identity and later she is executed outside of Dragonstone, killed by Dragon's fire. We just can't wait for the final and last season of Game of Thrones, as the excitement is building up.